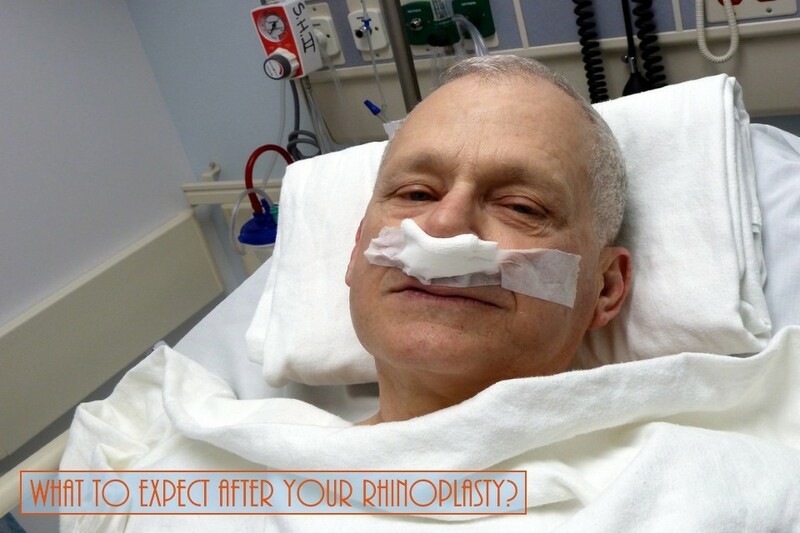 Home > Blog > What To Expect After Your Rhinoplasty? While there are many benefits for having a rhinoplasty performed, it is a serious surgical procedure. Patients should fully understand the recovery process before undergoing surgery. As with any surgery, patients should expect to experience some amount of discomfort or pain following their surgery. Most patients find that the benefits of rhinoplasty surgery outweigh any pain or discomfort experienced during the rhinoplasty recovery phase. While the recovery phase is unique to each patient, it typically lasts for four to six weeks. You will not be able to drive yourself home after undergoing rhinoplasty surgery, because you will likely feel tired, nauseous, and uncomfortable immediately after surgery. Doctors recommend that you have someone help care for you for the first couple of days after your procedure. Early in the recovery phase, patients should rest as much as possible. It is important for patients to rest with their heads elevated for at least the first 24 hours after undergoing a rhinoplasty procedure. This will help to reduce swelling and bruising that occurs after surgery. Patients should expect to experience soreness, swelling, bruising, bleeding, and a light to moderate headache for the first few days following their procedure. Pain medication will be prescribed by your provider to help minimize discomfort after your surgery. You may experience not being able to breathe through your nose for the first few days after undergoing a rhinoplasty. Nasal packing will most likely be used to help reduce and minimize bleeding and swelling after surgery. Any sutures and packing will be removed during your post-operative examination, which usually takes place seven to ten days after the procedure. Strenuous activity should be avoided for a minimum of two weeks after a rhinoplasty. Patients should also refrain from wearing facial cosmetics for two weeks following surgery, as to not agitate the skin around the affected area. Eyeglasses should not be worn for six weeks following your surgery. You do not want anything to jeopardize the results of your rhinoplasty, especially your eyeglasses. Most patients will feel up to returning to work within a couple of weeks after undergoing a rhinoplasty procedure. Yadro Ducic, M.D., What Can I Expect After Rhinoplasty? Cohen Winters, M.D., Rhinoplasty Recovery Time: How Much Do I Need? When Can You Wear Glasses After Rhinoplasty?